Many residents and visitors to Lagos often do not see Oshodi beyond the clumsy activities that go on in the various garages and parks scattered around the flyover bridges as well as the petty trading by roadsides and within the parks. The anti-social behaviour of miscreants otherwise known as ‘Area boys’ in Oshodi added another dimension to the notoriety that Oshodi environ was known for. The case is made worse for some people who had been caught in the web of power tussle in the bloody overthrow of leadership in the parks that dotted its nooks and crannies. To this category of people and many who are not happy with the disorganised activities going on around Oshodi main bus stop, Oshodi is just one nuisance that they wish away. Therefore, when Governor of Lagos State, Akinwunmi Ambode in 2016 announced that traders, commercial buses operating within the parks around Oshodi bus-stop and the park managers, the NURTW would have to give way for a modern transport interchange, it was a good relief for some residents though it was like taking the means of livelihood from those who were trading and providing some transportation services within Oshodi main bus stop. And when the governor rolled out the plans he had for the place, following it up with a pictorial blueprint of what he wanted to be the Oshodi interchange, it was like it cannot be achieved. This is because the project looked massive and the facilities expected to be put up look like something not meant for that part of the city. But months down the line, things are taking shape and it seems some level of sanity will likely envelope Oshodi though Oshodi is not limited to the activities within the main bus stop. The transport interchange is being constructed by the Lagos State government, and executed by Planet Project. The governor during a recent visit said the project would be delivered by December, but the contractor seems to want to beat the deadline of the governor, as the Managing Director of Planet Project, Abiodun Otunola said the interchange would be completed in October 2018. According to him, this is because the job has reached 70 per cent completion level. The project, when operational, will serve, at peak, an average of one million people though at the early stage of the commencement of business, about three hundred thousand passengers would be served daily, with each of the three terminals serving 300,000 passengers daily. He disclosed that every hour, 300 buses would be departing the terminals. Otunola said Terminal 1 would serve those travelling outside Lagos and the west coast. This is why the terminal is dubbed the inter-city terminal. He said Terminal 2 will service commuters heading towards Abule Egba and beyond and places like Mile 2, Okokomaiko and beyond, while Terminal 3 will be for commuters going to Anthony, Ojota, Lagos Island and Ikorodu. According to him, the interchange was conceptualised to solve problem, reason he said his company is not a general contractor. He added that Oshodi had been neglected, as if it does not matter, but Governor Ambode is giving it a new face with the project. He noted that people could hardly pass through Oshodi unhurt, especially at the wee hours of the day, while many who needed to pick a bus at peak period do that struggling to enter a bus in a chaotic environment, after a hard day’s work. But when the interchange becomes operational, it will be providing a 24-hour service with comfort for any passenger boarding a bus using any of the three terminals. For the comfort of the passengers, he said the three terminals, with multi-layer floors, would have lifts and elevators to ensure commuters can easily move from one floor to another. He further said this is aside all the terminals are linked by skywalk to ensure passengers could easily navigate the entire interchange, moving from one point to another with ease. He said for passengers not to wait endlessly for buses; two layover parks were created with the capacity to accommodate 70 buses, waiting to load at every point in time. He also said that there would be room for park and ride, reason a park and ride park was created, in addition to a taxi park. So that the buses coming from the layover do not obstruct free flow of traffic when they needed to connect Terminal 1 and 2, he said two tunnels had been incorporated into the project, where the buses from the layover would be driven through to connect the terminals. Otunola maintained that when the project is completed, any person who visited Lagos and did not make a stopover in Oshodi, surely has not visited Lagos. This is because the entire place is built with the mind for it to serve as tourists’ destination. He said this is why adjacent the Terminal 3 are shopping mall and three-star hotel. He added that 1000 light effects would be installed around the interchange, which would be used to constantly create effects, sometimes to reflect the mood of a celebration like Christmas and Independence Day celebration. He said to his company, the entire project is a national icon that would a national pride when it is completed. According to him, while the interchange is funded by the state government, the hotel and shopping mall are to be executed by the private sector. A resident of Lagos, speaking on the project, Dr Adebayo Akintayo noted that traditionally Oshodi has been a complex mosaic of industrial, commercial and all manners of human endeavors, creating a complex web of vehicular and human logjam with associated nefarious and criminal activities. Cynthia Nwalozie said she does not frequently ply the Oshodi axis, but from what was obtainable in the past, the execution of the project is a good initiative by the government. “It is long overdue considering the importance of Oshodi route to the entire Lagos road network. Another resident of the state, Ayo Longe observed that Governor Akinwunmi Ambode is changing the face of Lagos but a lot of people are being negatively affected. Nonetheless, to him, Lagos actually sets the pace when development in Nigeria is spotlighted “The development of the transport interchange and the allied facilities will further change the face of Oshodi from one of confusion to that of a modern city. 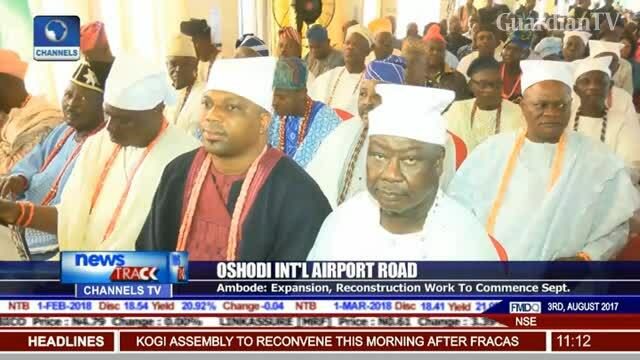 On his part, Johnson Ibidapo said the project is a good initiative, as it will surely give Oshodi a facelift. “But the question is, are we ready for this,” he queried. For Dorcas Tonade, it is a good development as it is one that will benefit the entire state in the long run. She also felt that it will help bring sanity to the transport union as well as reduce theft and all criminal activities around Oshodi. 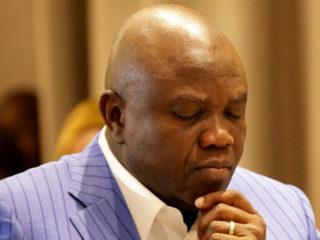 The Commissioner for Information, Kehinde Bamigbetan, said Ambode is committed to continually add value to the citizens’ experience, making available a safe, secure and convenient environment. He noted that why the state government cannot stop the human drift into Lagos, its responsibility is to ensure that the facilities being provided adequately serve the people. 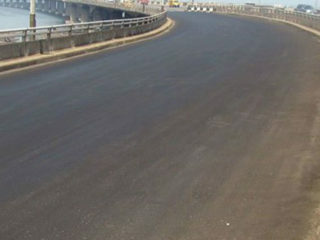 With the interchange, Bamigbetan said Oshodi would be rebranded away from being a den of thugs and criminals and if there is any thug or criminal around after the completion of the project, such person’s psyche would be reformed and transformed to conform with the new setting of orderliness and serenity. The commissioner stated that any resident could spend 48 hours within the interchange with no fear of being hurt, as the place would be safe. According to him, the project is part of the governor’s efforts to build on the legacies of his predecessors, Asiwaju Bola Tinubu and Babatunde Fashola. He noted that the former governors did their part in improving activities around Oshodi and the new effort is consolidating on that. Bamigbetan said it is gratifying that the interchange would be taking over from a disjointed and unorganised 30 parks that cumulated in some form of confusion for commuters and residents would ply the route. He said projects are being executed in the state with international benchmark reason the state do not intend to create facilities that will not economise space, which the interchange represents. 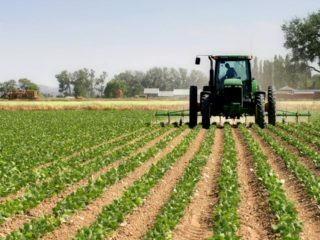 According to him, the project is also about promoting local content as the project is being executed by a Nigerian company that has ensure that all the workers on site are Nigerians, thereby saying that Nigerians can do it. With the Governor saying the project would be delivered by December, No doubt Lagos residents are waiting for the fulfilment of the promise.